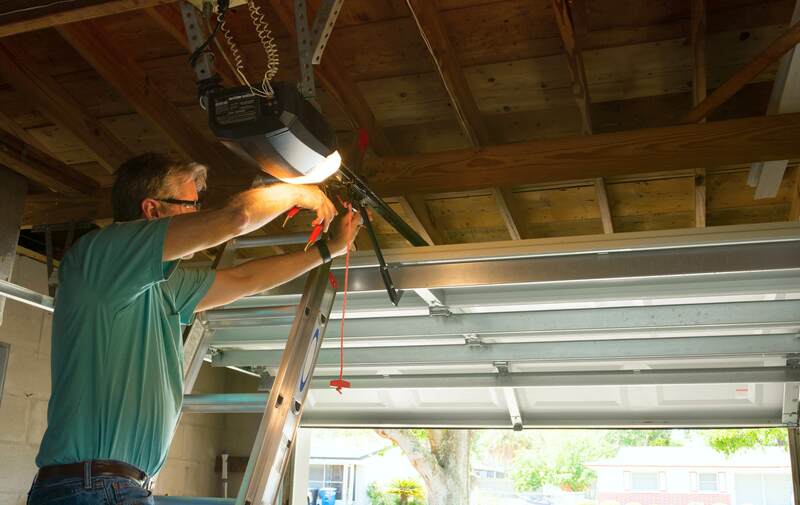 Getting to know the components that make up your garage door is important, it means you are more likely to locate the issue when something goes wrong and know what part needs looking at or replacing before it gets worse. It helps prevent a setback at an inopportune moment. In order words, you don’t want to be heading out to work and realise your garage door will not close. So without further ado, here are the principal components of a garage door. 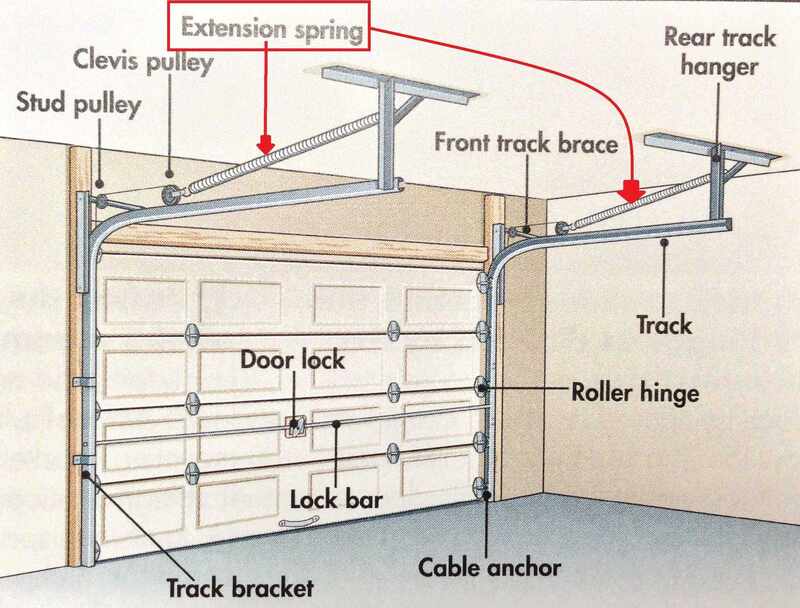 The spring system (also known as the counterweight system) is what allows you to open up and over garage doors with just one hand. There are two model types; torsion and extension. Torsion is a coil-shaped spring system that goes around a steel shaft and is placed over the garage door. Extension is also a coil-shaped spring but instead, comes in pairs and are located over the horizontal tracks. As the name suggests, the springs extend when the door closes. Because of its placement, a torsion system requires more space above the door so is better suited for taller garages. The hinges are located along the back panels of the door and allow it to bend and retract along the ceiling. For heavier garage doors, it is recommended that double-hinges are used to keep the door held in its open position. There are commonly three types of garage door rollers; plastic, steel, and nylon. Plastic rollers – are the standard, low-cost solution, and so typically have a shorter lifespan than the other types. Steel rollers have ball bearings and are, therefore, quieter and smoother than plastic. The more ball bearings they have, the smoother and quieter they are. Nylon rollers also have ball bearings and are quieter than both plastic and steel, as well as being very hard-wearing – with double sealed models being tougher still. As the name suggests, these cables help lift and lower the door. The lifting cables are braided steel wires that are calibrated according to the weight of the door – the heavier the door, the stronger the cables. There are vertical and horizontal tracks that allow the rollers to run up and down as the door is open and closed. The tracks are usually made of galvanised steel, the thicker the steel the less chance the tracks will bend out of shape under the weight of the door. Reinforcement struts add extra support to garage doors when they are left open for long periods of time and strengthen the door against strong winds. These U-shaped steel supports are usually found on double garage doors and may already come attached when you purchase your door. So these are the main components that make a garage door work smoothly. If you think that any of your components are broken, then please do not hesitate to contact our expert team of engineers. We not only have thousands of parts in stock but also do not have a call out charge!